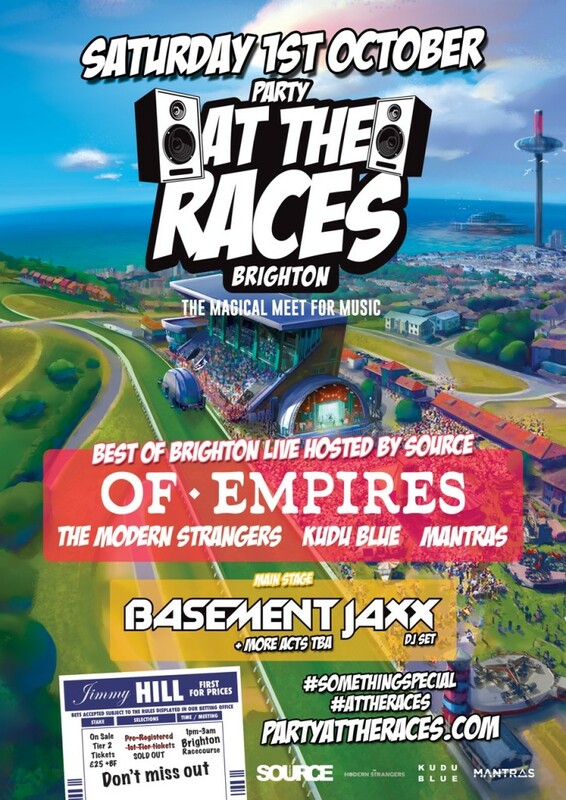 Organisers of the UK’s newest boutique music event, Party At The Races, are thrilled to announce that Brighton Source will fly the flag for Brighton’s breaking live acts on the Best Of Brighton Stage, at the debut event on 1 October at Brighton Racecourse. The first announcements for this stage include ‘MTV Brand New Unsigned Winners 2015’ Of Empires; rock and rollers Mantras, described by Eddie Tepple Morris as ‘magnificent live’; Kudu Blue whose latest release ‘Call Out’ has just hit 50,000 plays on Spotify; whilst funky riffs and dominant bassline grooves will be served up by The Modern Strangers. As a trusted source representing all things credible in Brighton’s music and culture scene, Brighton Source is the perfect partner to take the reins on the outdoor live music stage. 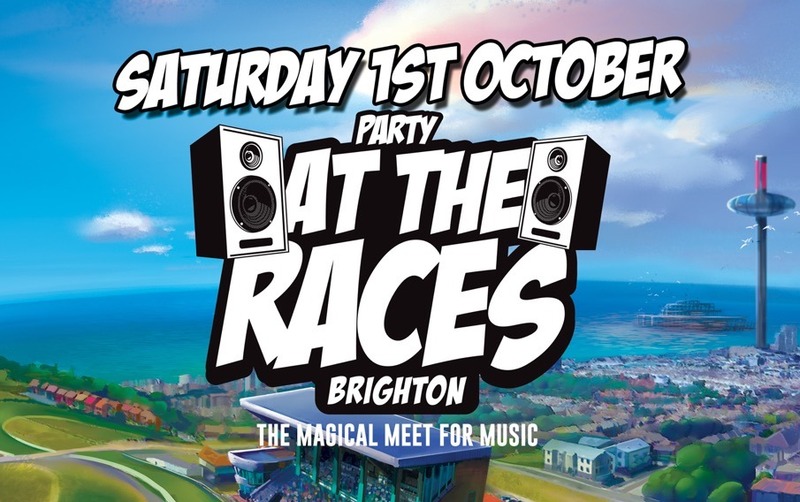 ‘Party At The Races’ is a music event with a difference. From 1pm – 3am it offers a mix of day-time dancing and night-time clubbing, across 3 stages plus a fourth VIP stage. Combine its exceptional location, with views across Brighton city and coastline, a carnival of dance and live music, entertainment including virtual horse racing, and you have a certified, magical day out.